Nothing can beat the sight and smell of a freshly cut Christmas tree. In order to keep your Christmas tree looking healthy for as long as possible, you will need to follow some simple care tips. Once home, remove your tree from it’s net as soon as possible and store your tree outside in a cool, sheltered spot for as long as possible, until you are ready to bring it indoors and decorate it. Make a fresh cut at the base of the trunk, by removing a circle of wood about 13-25mm (0.5-1in) thick. This will help the tree absorb water, stay fresh and reduce needle drop. Fresh cut Christmas trees can easily drink a pint of water a day, so we recommend you use a stand with a reservoir which you can top up. 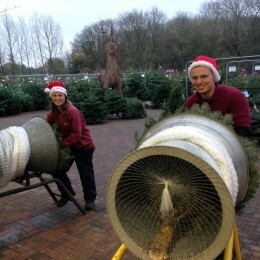 All our cut trees are sold with a pre-drilled hole in the base. Simply set the tree on top of the stand pin and fill the bowl with water to keep your tree fresh for a long time. Keep your tree as cool as possible and away from sources of heat, such as radiators and open fires. The cooler you keep your tree, the longer it will last. 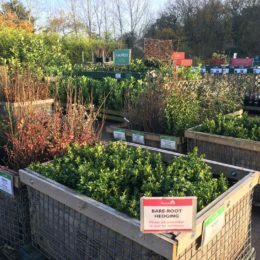 If you choose to buy a container grown Christmas tree it is important to pay attention to their labelling and signage as there is a big difference between ‘potted’ or ‘pot-grown’ in terms of survival rate. 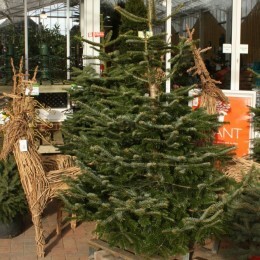 ‘Potted’ Christmas trees have usually been grown in the ground and then dug up and potted up with few roots. 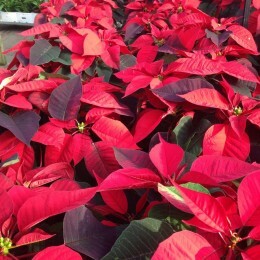 They don’t generally last much longer than a well-cared for cut tree, and usually won’t establish in the garden afterwards unless you are lucky enough to have a tree with enough root system to survive. 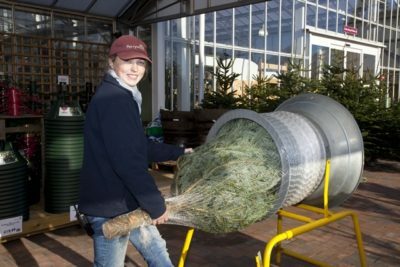 ‘Pot-grown’ Christmas trees have been grown in the pot and so are more likely to be successful for growing on from year to year as they can be treated like any other conifer. Trees in containers are thirsty plants, particularly once they are taken indoors for decoration. 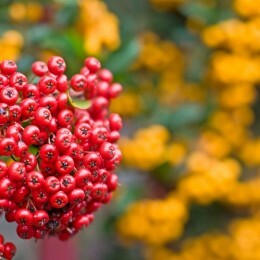 Ensure their compost is kept moist and remember to position a saucer underneath your pot. 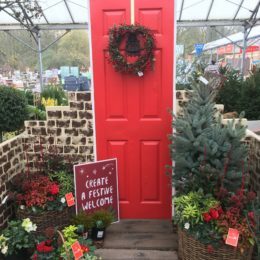 Our potted or pot-grown Christmas trees come in a number of varieties including Nordman Fir, Noble Fir, Blue Spruce, Fraser Fir, Omorika Spruce and the traditional Norway Spruce. 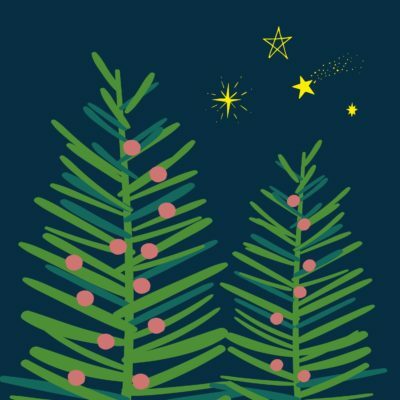 Don’t forget to register for the St Helena Hospice Christmas tree-recycle scheme raising much needed funds for the hospice.